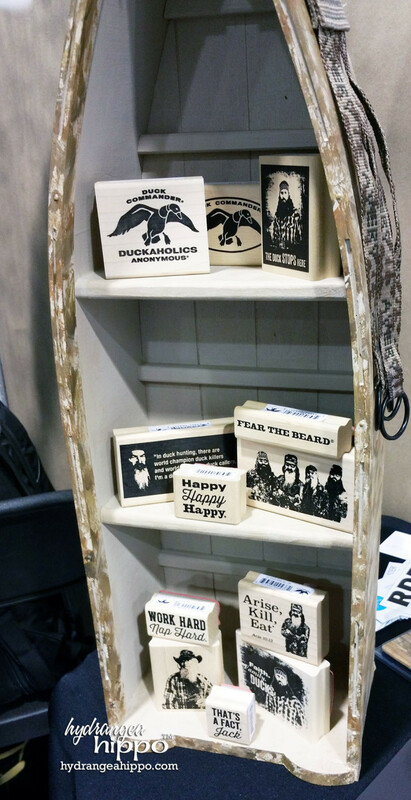 Blockwallah was at the show with traditional carved wood blocks for block printing fabric. PLAID released resin replica block printing blocks along with a link of fabric inks to use them with. 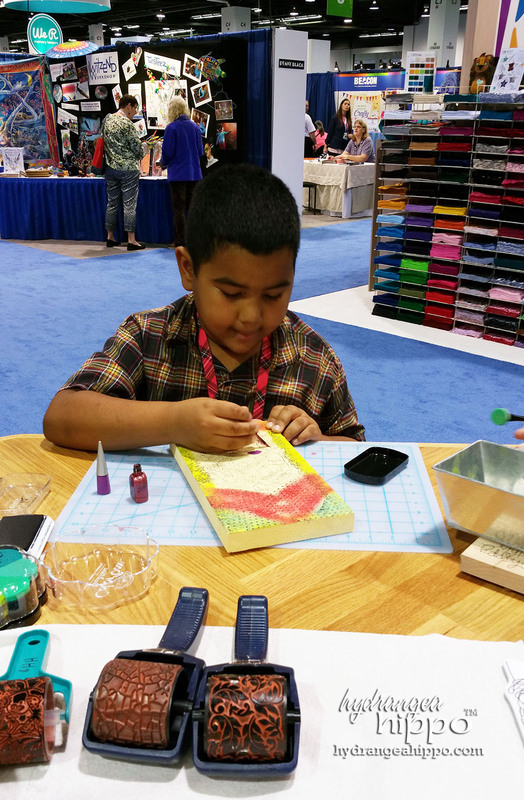 Clearsnap had a new line of foam and rubber stamps for fabric. Chibitronics and Liteseeds by Jill MacKay both had LED light kits to teach about circuits as well as to create cool lighting effects on crafts. 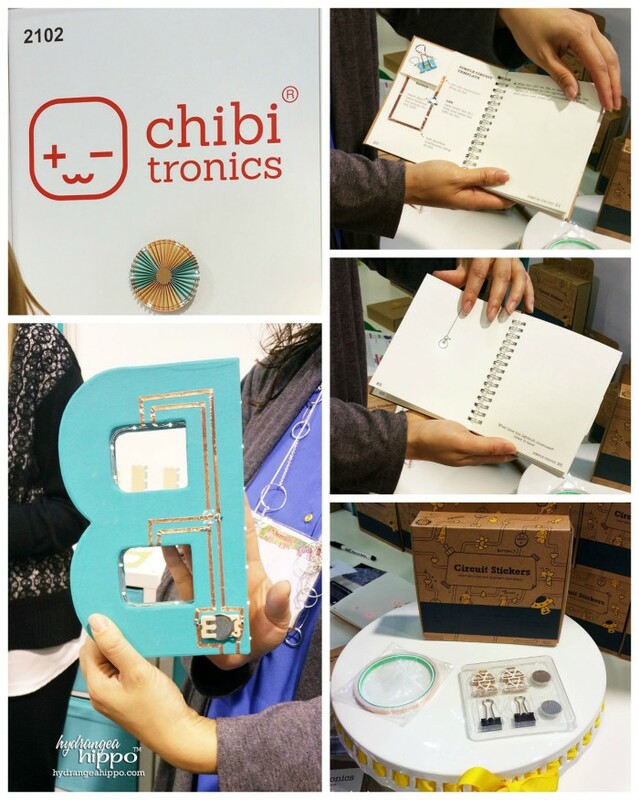 I thought these were really cool because they're bringing tech into craft and can be used to teach kids (and adults) about electricity and conductivity, Chibitronics' kit has a book inside that teaches about building all kinds of circuits in a fun, inspiring way. I need one of those!!! Ed Roth of Stencil1 created this shirt with stencils from his company, Stencil1 – they're celebrating 10 years in business! 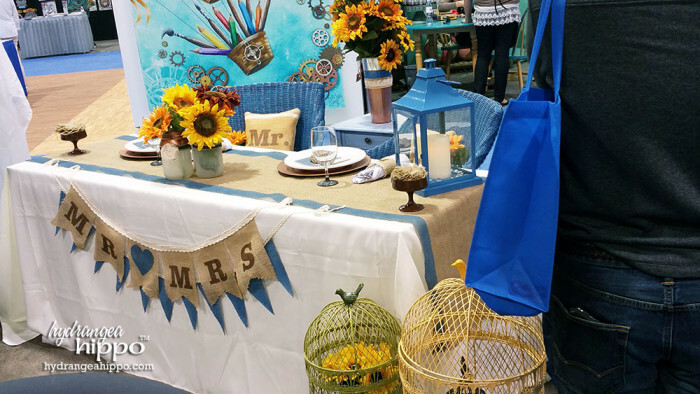 Stencil1 release new stencisl plus a set of amazing new stenciling tools and brushes! 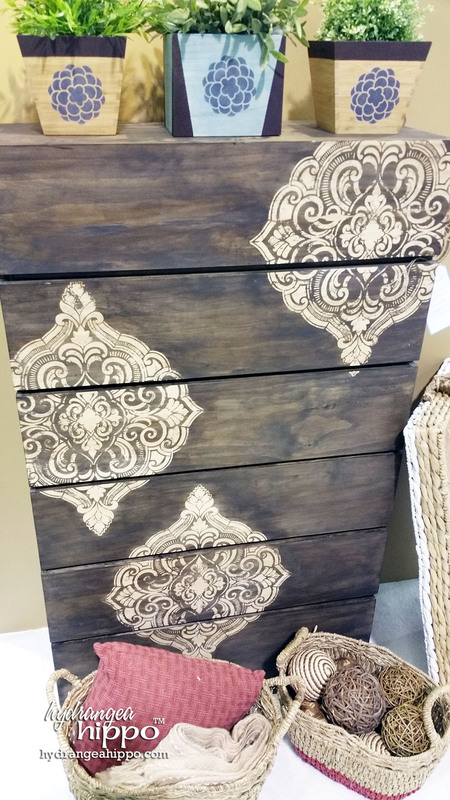 Donna Dewberry shares abotu her stencil line with PLAID as well as some tips on refinishing furniture with stencils. 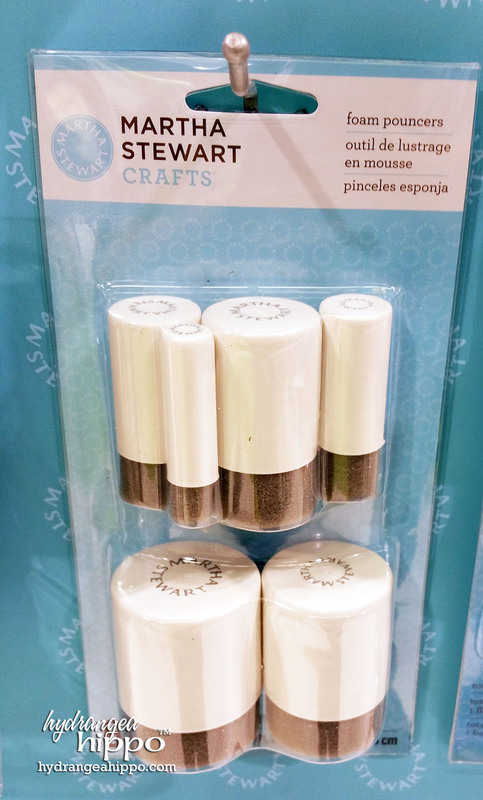 PLAID had several new stenciling tools from Martha Stewart, including these Daubers. 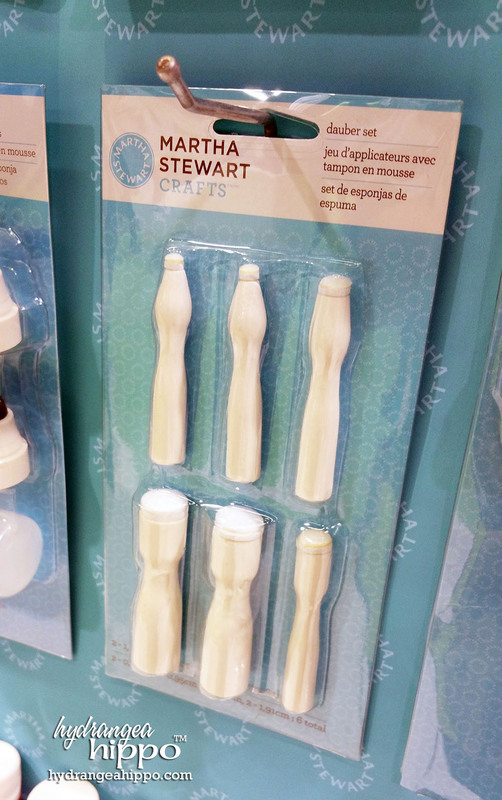 PLAID had several new stenciling tools from Martha Stewart, including these Foam Pouncers. Stencils are still HUGE and that means they are getting bigger and coming in more shapes and patterns. 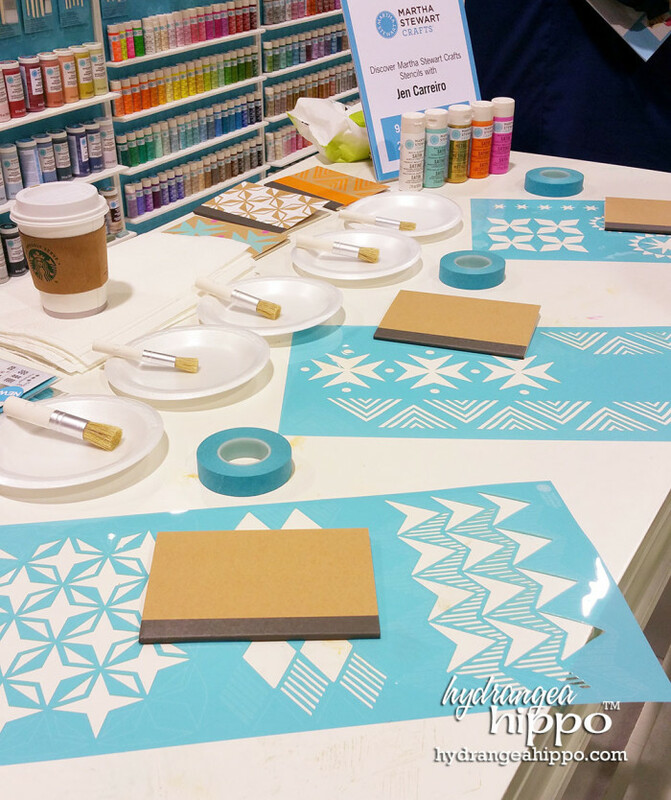 Stencil1 made a great showing but Plaid also had some fab stencils in their new Donna Dewberry line. Everyone has an inkpad now! My Favorite Things and Teresa Collins both licensed ink with Clearsnap's ColorBox line. 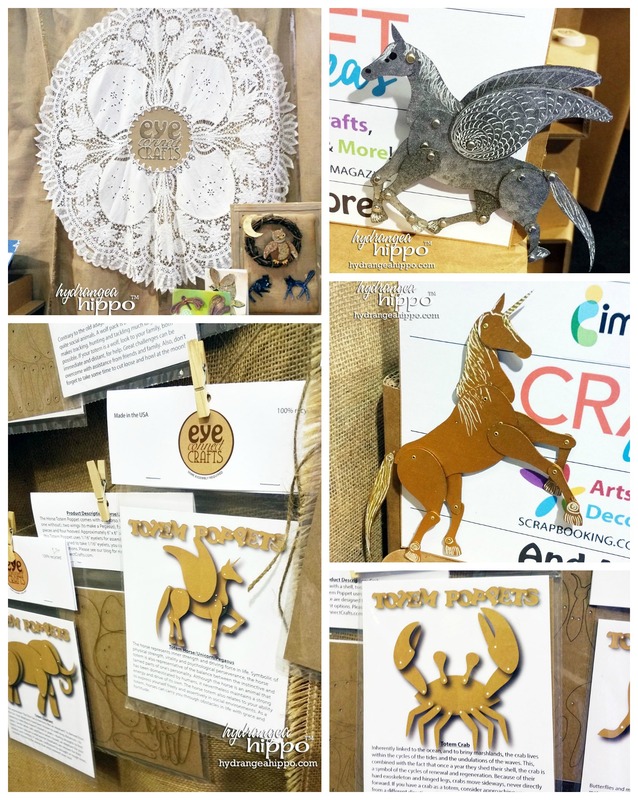 Eye Connect Crafts had jointed chipboard shapes but my favorite was the unicorn – pegasus. 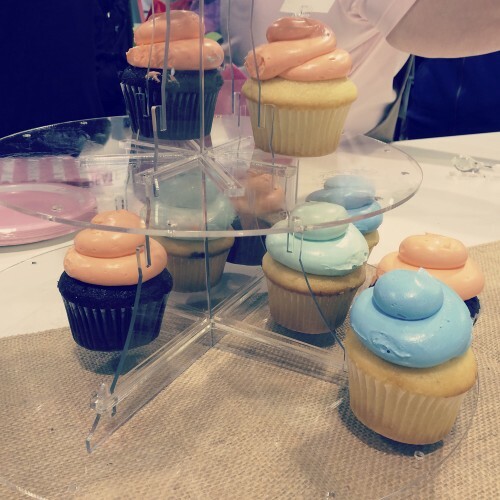 They had some great samples of it in their booth! From unicorns in the Eye Connect Crafts (hey, go LIKE their Facebook Page and show them some love!) 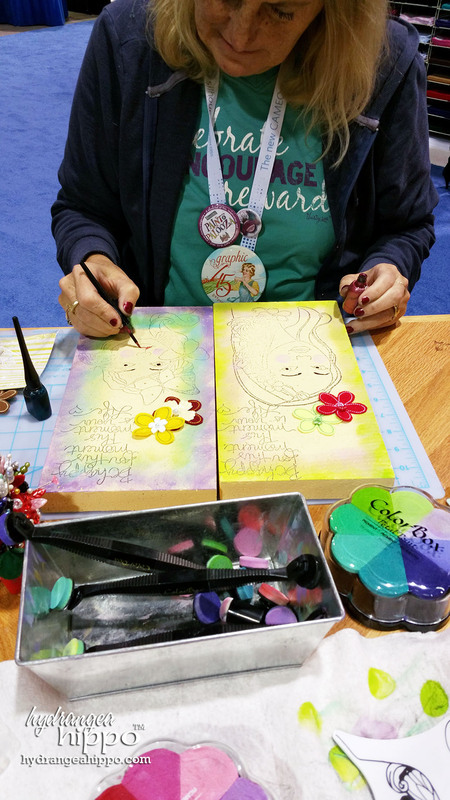 booth to unicorn dies from Marisa Pawelko in her Modern Surrealist line for Sizzix to unicorn stamps!! 27. Feathers, Arrows, and Tribal still in. PLAID's Martha Stewart stencil line had lots of geometric and tribal patterns this year. 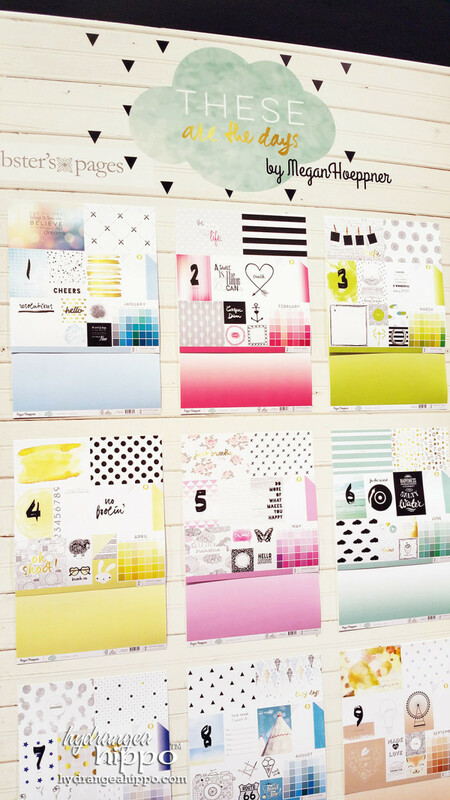 Arrow Papers at DecoArt + stencils in these motifs by Plaid and by Stencil1. 28. Fabric finishes & Fabric. 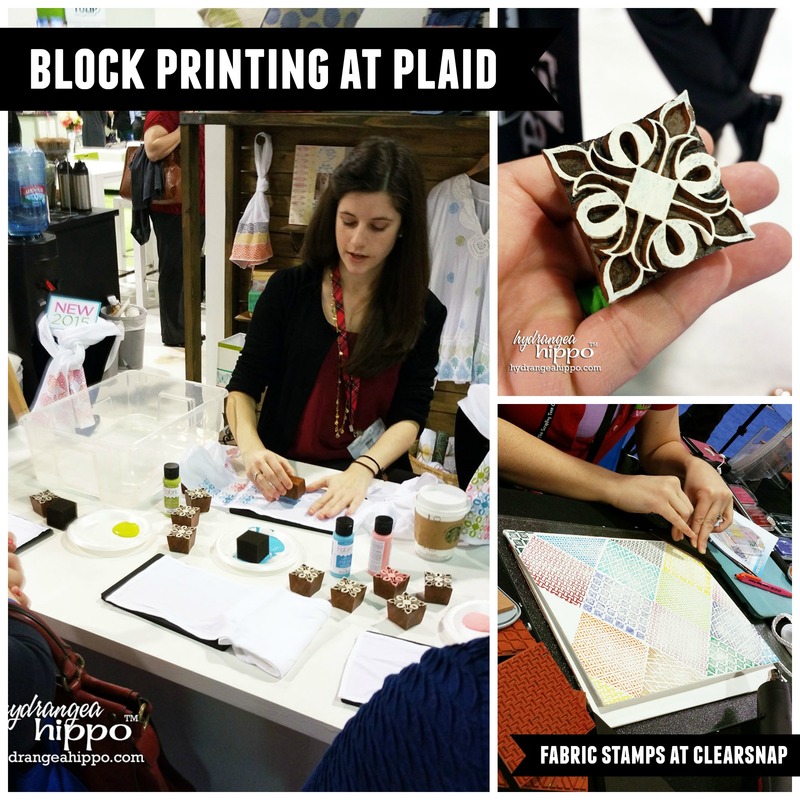 Plaid had resin block printing stamps at CHA and Clearsnap had foam fabric printing stamps. 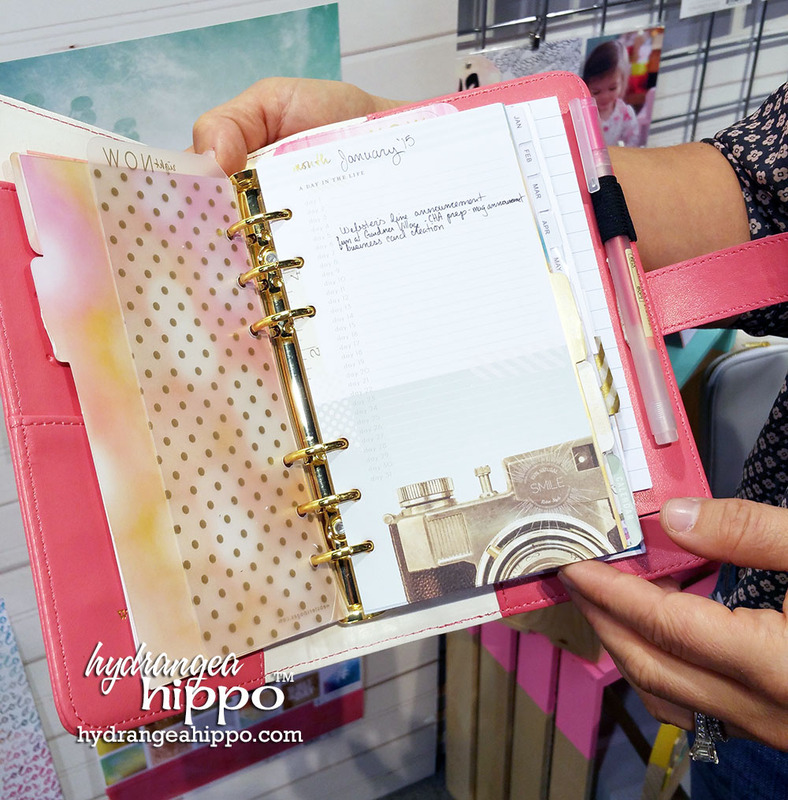 Tip from Krylon – spray paint burlap to add clor and stop it from fraying before cutting. Plaid had a fabric ink for block printing. Ilovetocreate has great new opaque fabric markers. Clearsnap added more colors to the ColorBox Crafter's Ink line. Krylon was sharing how to use spray paint on burlap in their booth. Everyone was working with fabric in some way. 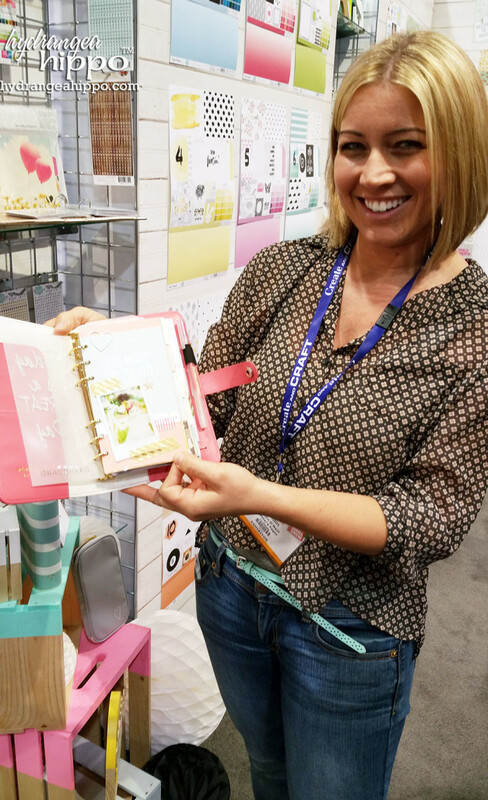 Linnie Blooms was a new company sharing handmade canvas components for crafting. 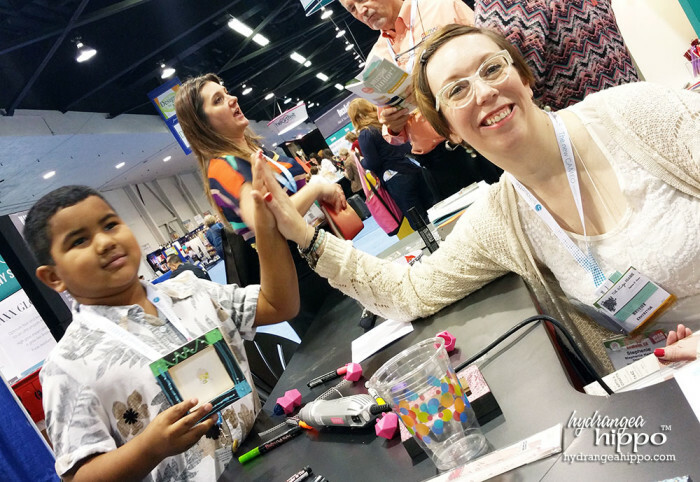 Using ink to stamp and color a piece of Smoothfoam at a make n take with Jennifer Priest. Matthew Priest using ink to stamp and color a piece of Smoothfoam at a make n take with Jennifer Priest. 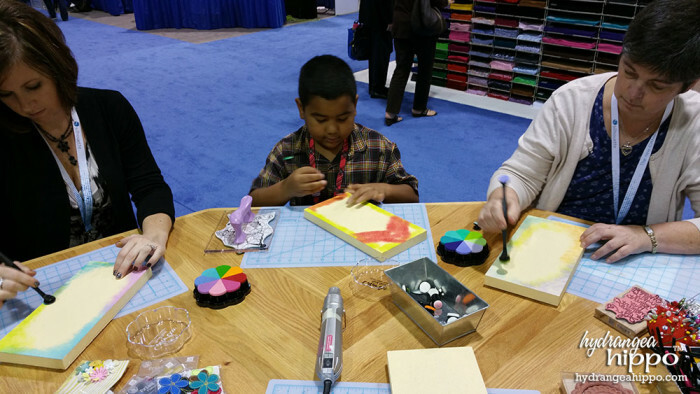 Crafters using ink to stamp and color a piece of Smoothfoam at a make n take with Jennifer Priest. 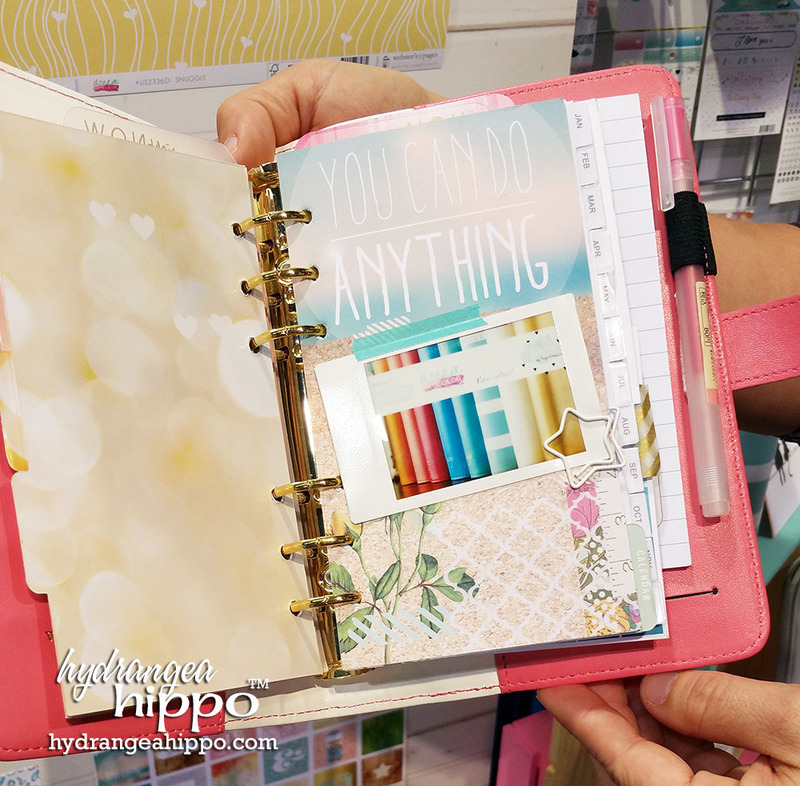 Linnie Blooms is a new company with canvas components for crafting. Eye Connect Crafts was in the new vendor area as well, selling loose pieces for jointed and laced chipboard pieces. Smoothfoam was offering fun new shapes like photo frames to finish. 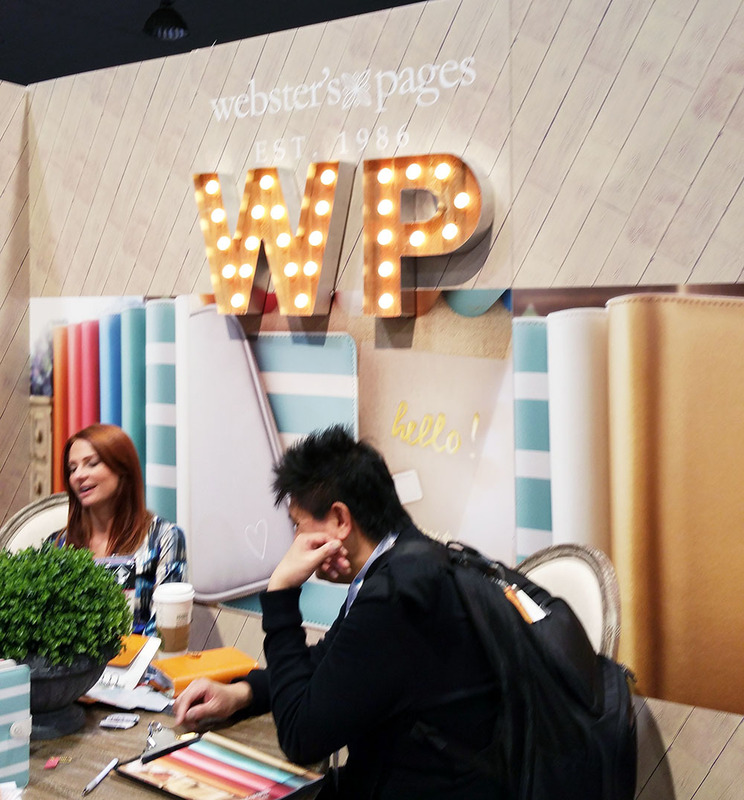 Planners in the Webster's pages booth – they're amazing!!! You need one. So do I! Wesbter's Page owner Brandin O-Neill shared the insides of Megan Hoeppner's planner with us!! 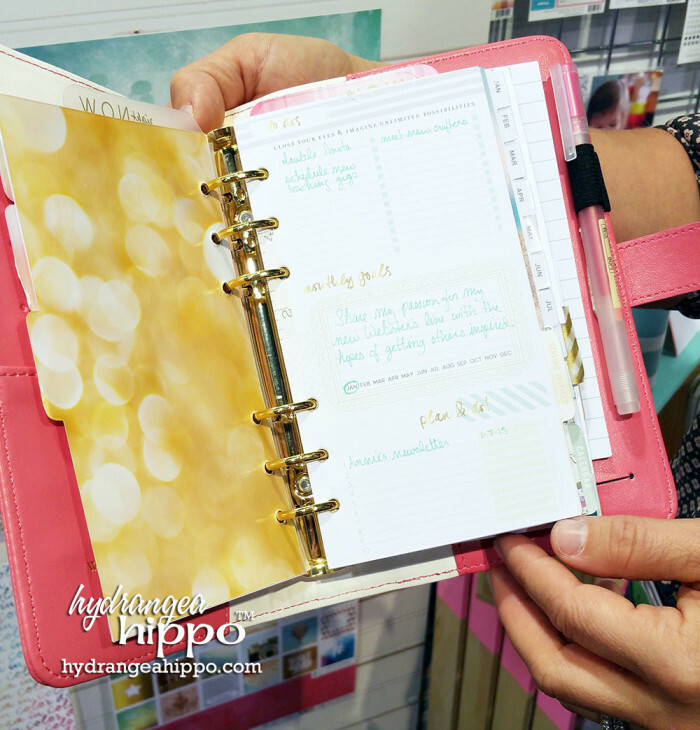 I love these menu pages in the Webster's Pages planners the most – so smart and NOT scrapbooky!!! But still cute. I wish this pic had been clearer – these are the colors of the Webster's Pages planner and matching folios. 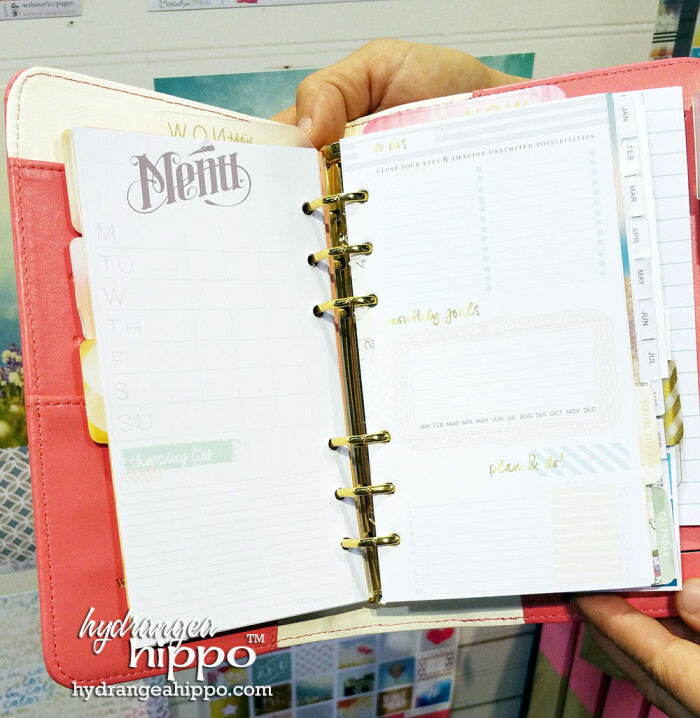 These pages were great for taking notes about what happened in the month so you could reference this when scrapbooking later – Webster's Pages planners. I'll take one of these ones please! Everyone has a planner now but my faves were in the Webster's pages booth. 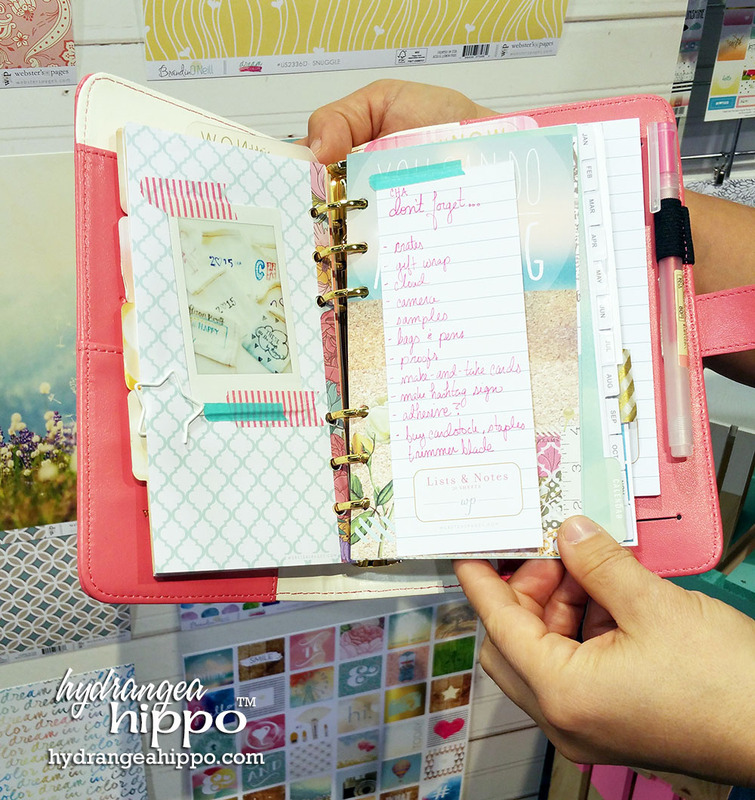 Heidi Swapp also has a planner and many of the new paper lines had planner-like uses and looks. 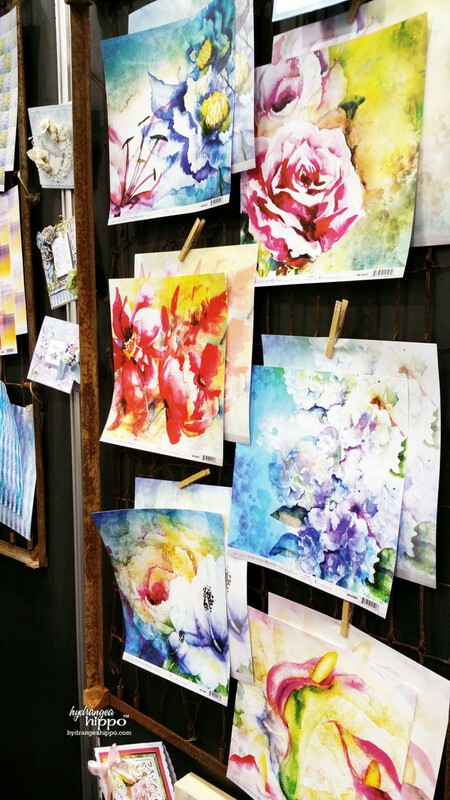 Megan Hoeppner's watercolor wash-look line for Webster's Pages. 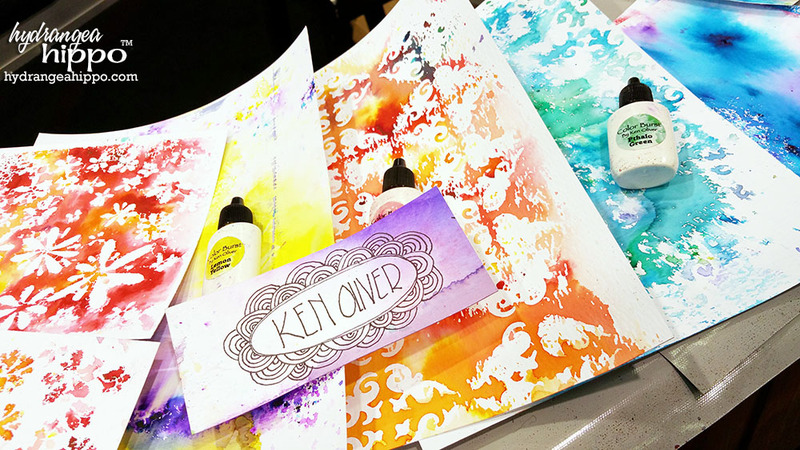 Ken Oliver Crafts' new COLOR BUSRT powders make creating a watercolor easy. 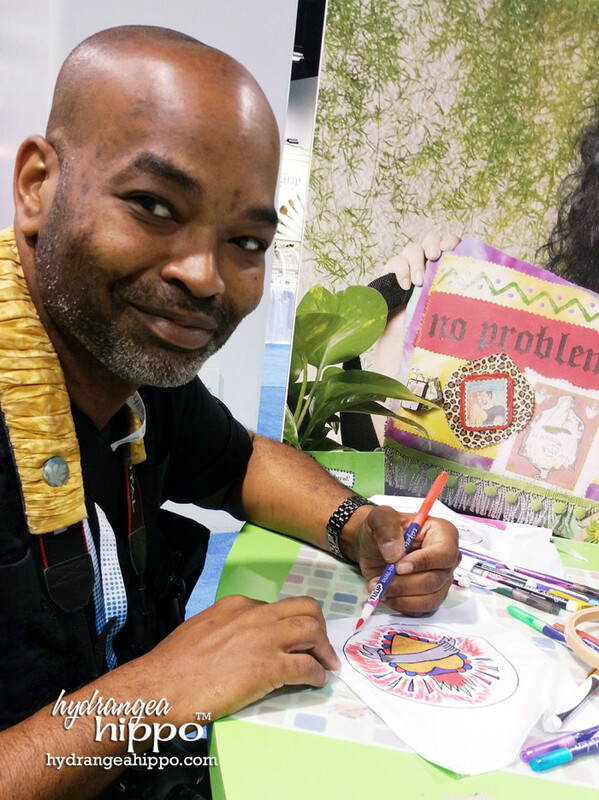 Ken Oliver Crafts' new COLOR BUSRT powders make creating a watercolor easy. 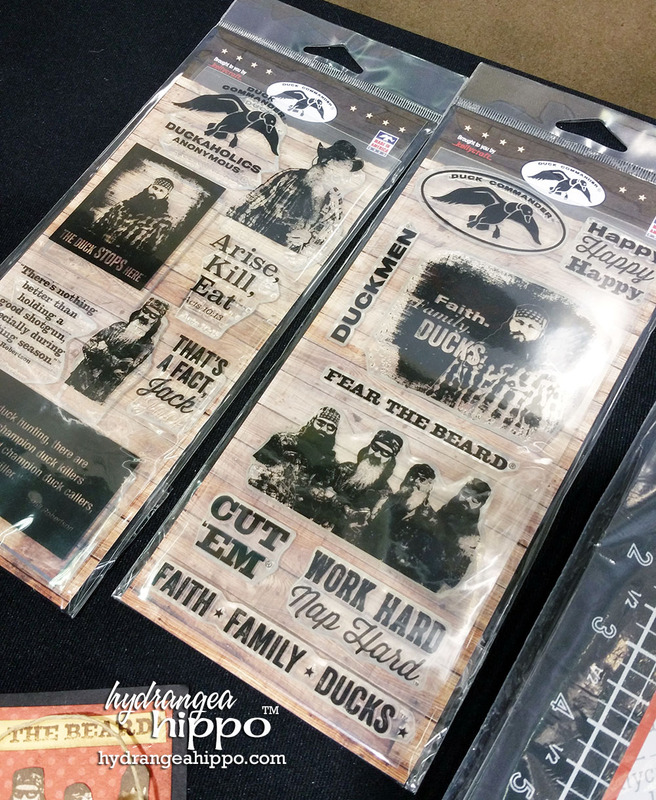 They can be used with stencils and masks as shown on these samples in his booth. Papers, fabrics, and techniques were focused on watercolor looks, ranging from bright colors to softer pastels. 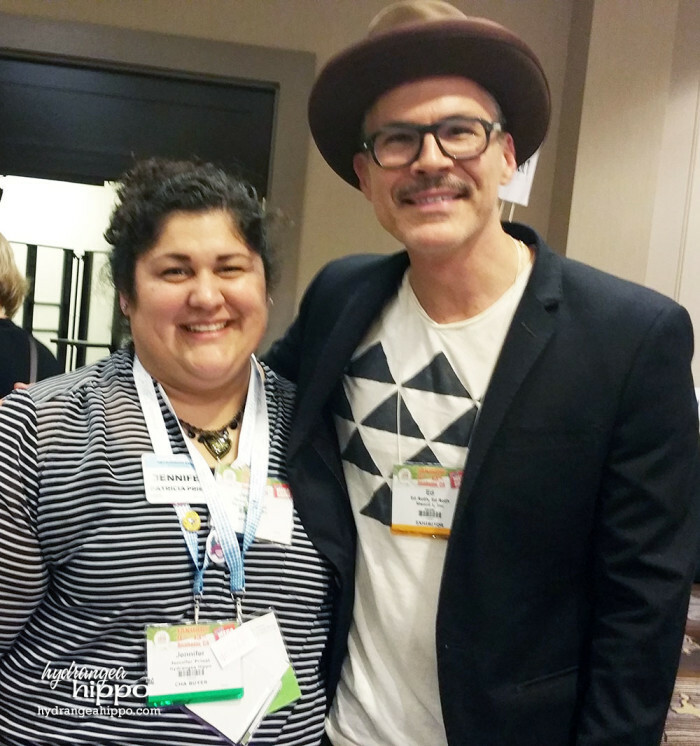 From Ken Oliver's new papers to Amy Tangerine's 8th line with American Crafts to Wesbter's Pages new papers, there was watercolor in almost every paper booth. Matthew learned how to use the new Marvy Uchida Easy Crystal Applicator. 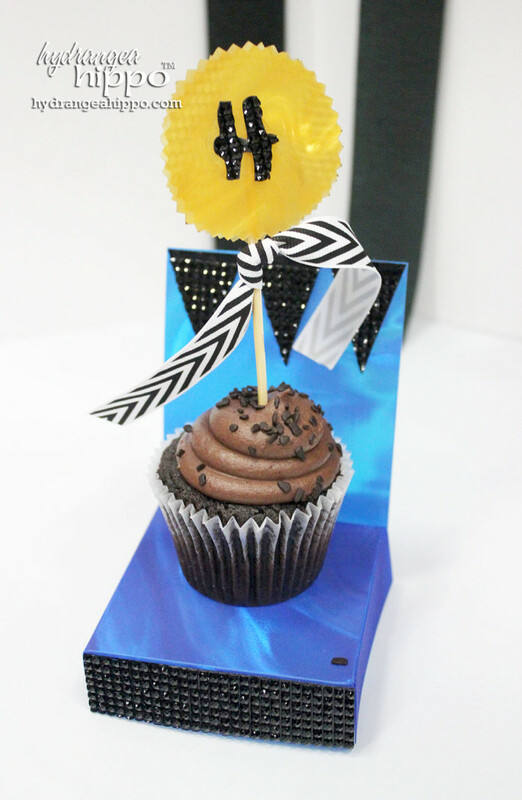 Cupcake Throne and Cupcake topper from the class Wendy Russell and I taught for Westcott Brand. Bling was big at this show. 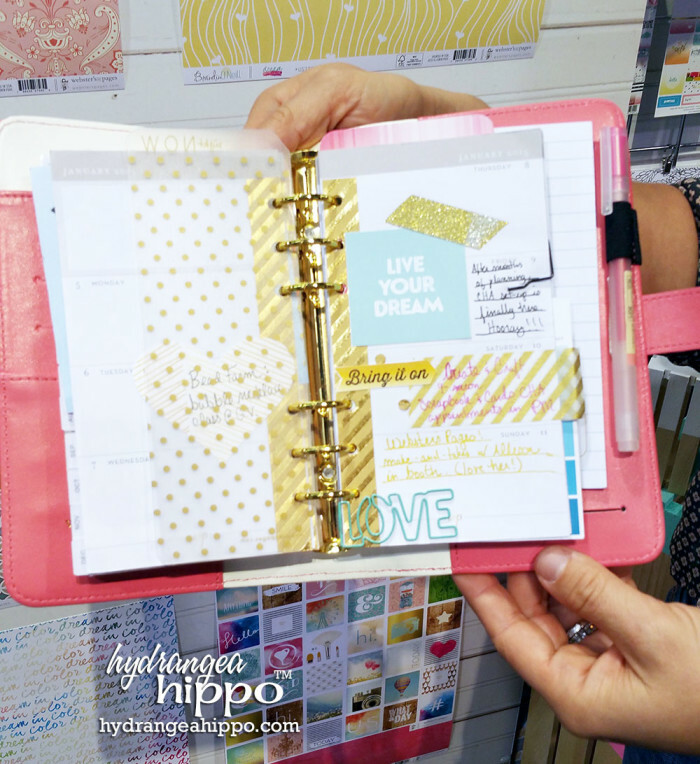 Duck Brand had new adhesive gems with glitter inside as well as shaped bling stips and strips of glitter tape. Crystal Ninja presented with a new tool, the Crystal Kubaton, to compliment their super popular Crystal Katana. Marvy Uchida had a new tool for dispensing and applying Swarovski crystals with applications for papercraft and fabric – Easy Crystal Applicator. 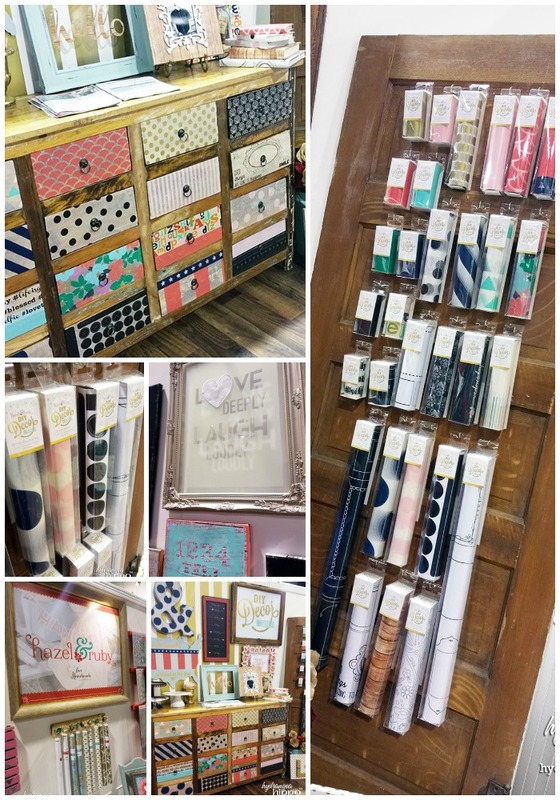 Marisa Pawelko (modersurrealist.com) came out with a line of licensed printed patterned bling sheets with the Buckle Boutique. Katie and Wendy Russell in front of the MD Hobby and Craft booth, which was like a metal wonderland! Be it chicken wire in the MD Hobby and Craft to wire jigs from Beadalon to Twisteez wire masks and kits (click the link to LIKE their Facebook Page!! ), there was wire in use alot more on the show floor. There were alot of metal projects, especially in the MD Hobby and Craft Booth. ICE Resin once again has Iced Enamels, a product for enameling metal. 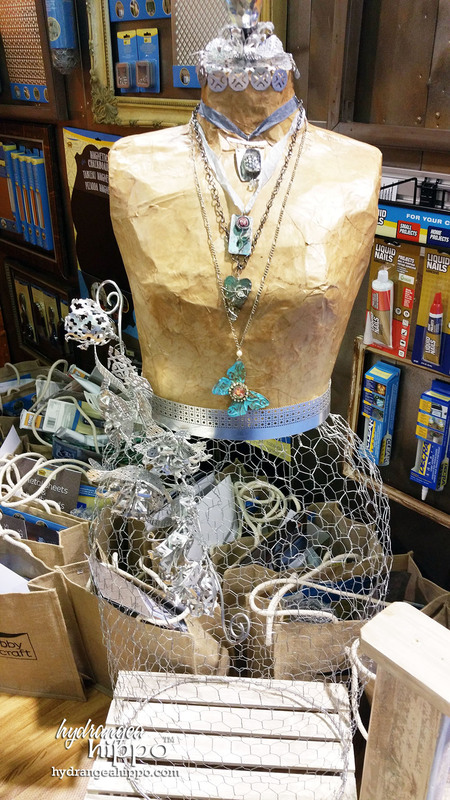 There were metal home decor pieces by Carol Roeda. Faux Metal Marquee Letters (cardboard) from Heidi Swapp. 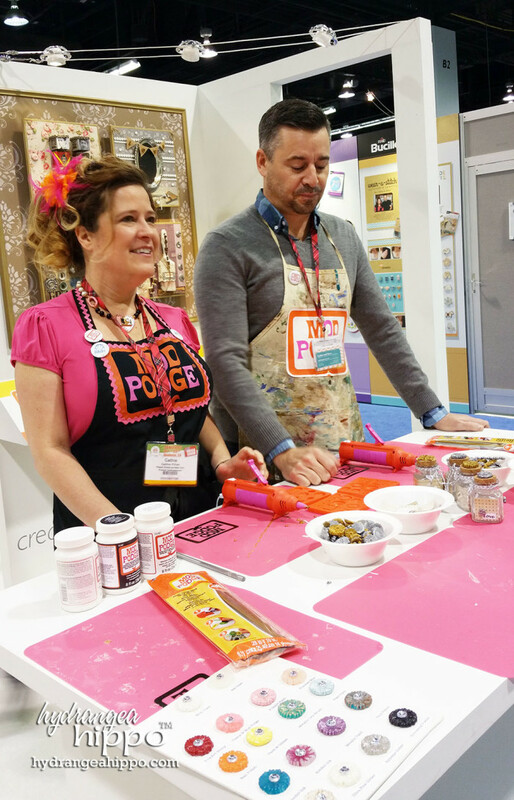 DecoArt and Hazel & Ruby both had thin papers that were great for decoupage or other home decor and altered projects. 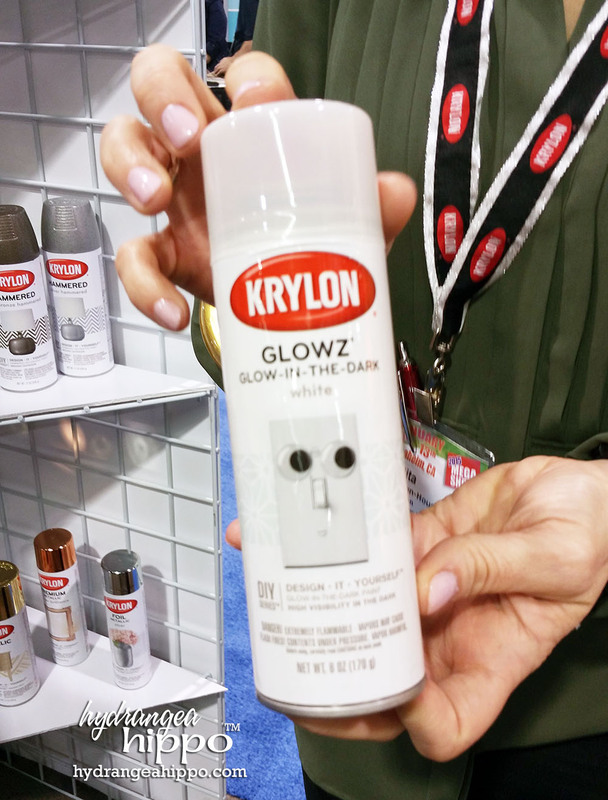 Glow in the dark spray paint from Krylon!! I'm thinking good for the lightswitch cover in the kids's rooms… wonder how I could have gotten that idea? 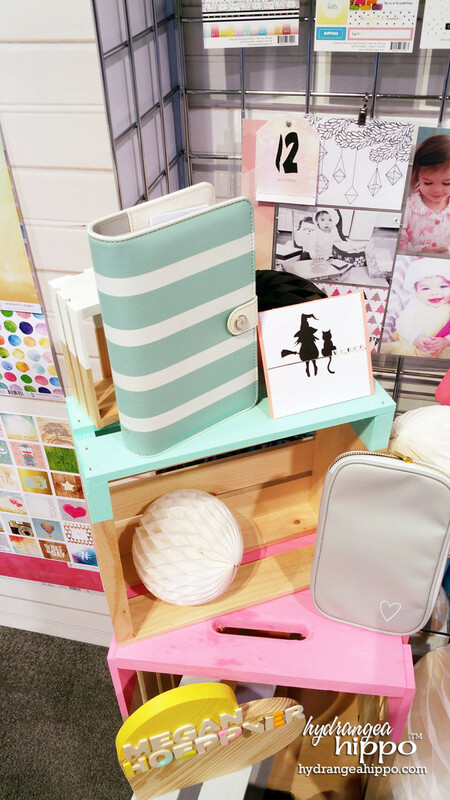 I wanted everything in this booth! They had an alcohol acrylic paint pen that was INCREDIBLE! 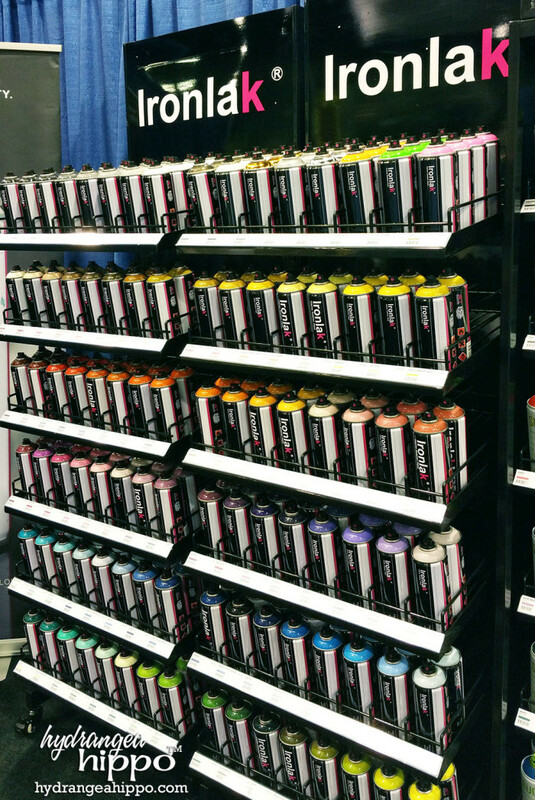 These are pretty rad – Spray paint with aersol made from sugar, by Ironlak. Krylon had a HUGE variety of spray paints for everything you can imagine. 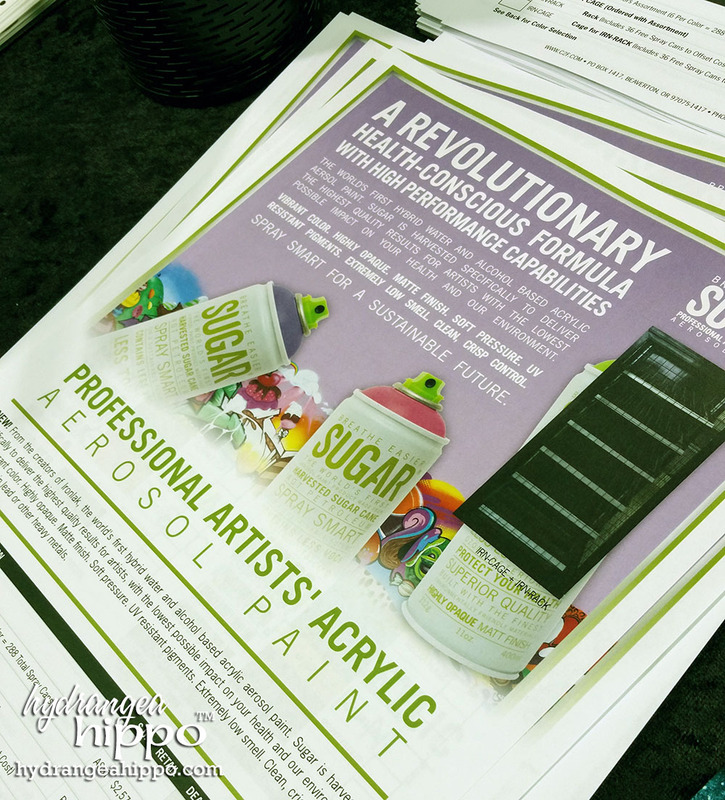 From the sugar-based aerosol spray paints from Ironlak to both Krylon and Rustoleum being at the show, spray paint was in the house! From Block Printing, Crafty Chica, to Stencil1, there were ethnic and tribal motifs in many booths. It's nice to see more cultures than just “Mainstream” being embraced!! 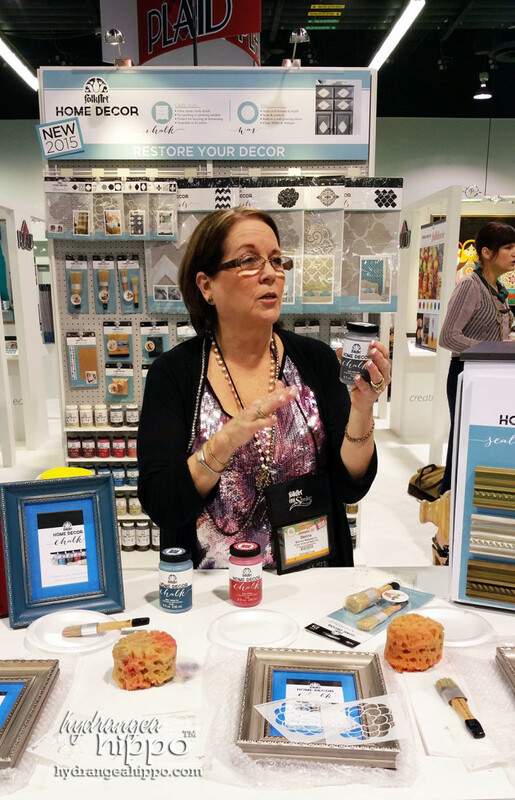 Donna Dewberry shared how to create a resist technique on wood with stencils on this piece in the PLAID booth. Wood papers that could be diecut in the ARC Crafts booth. Kyrlon was sharing ways to finish wood in their booth as was Plaid. Cathie and Steve sharing info about the improved Mod Melts tool! Cathie and Steve have even more Mod Melts molds at the Plaid Booth with an improved Mod Melts tool (I will be trying it out here soon!!). 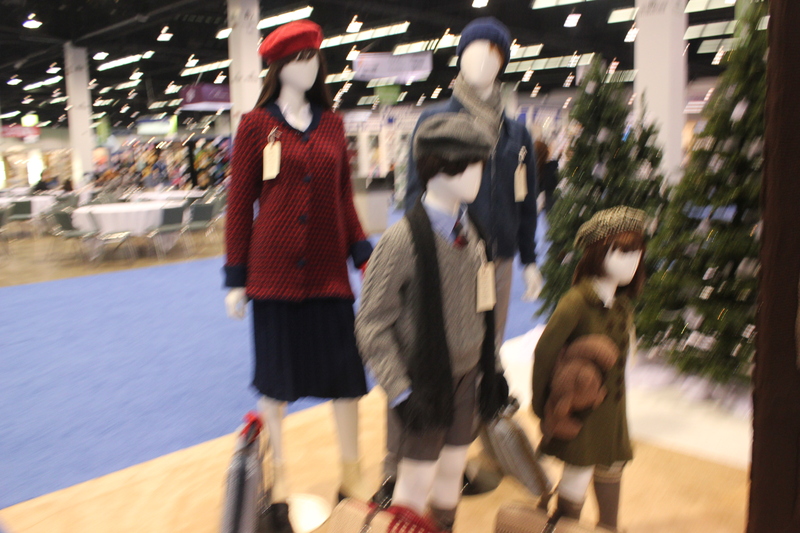 ComposiMold was back at the show with their reuseable mold making material. ICE Resin had their mold making material for use with ICE Resin. 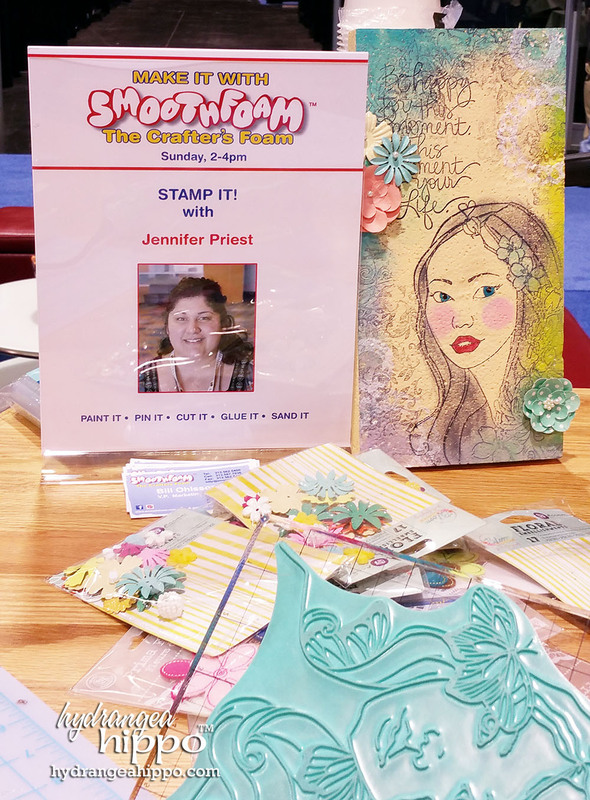 Clearsnap repackaged Magic Stamp, a moldable foam for making your own stamps. There was another fashion show in the Lion Brand yarn booth with Vanna White and I missed it!! Here are some other posts about it. 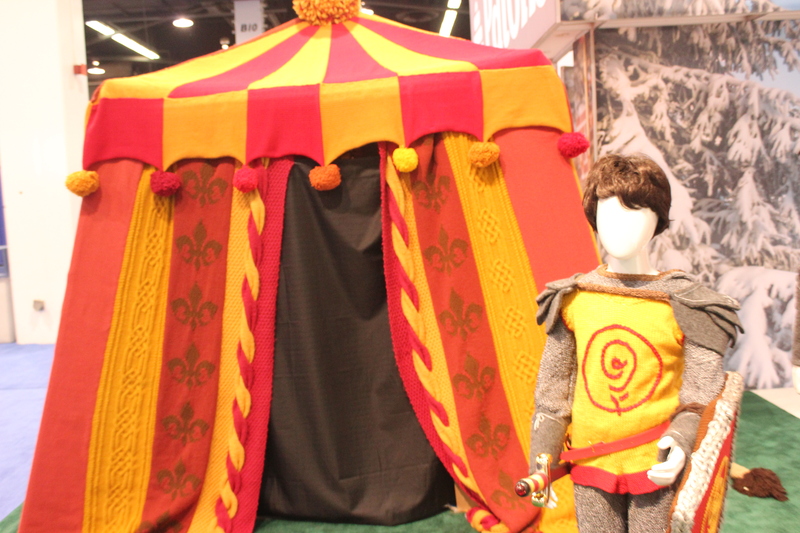 Spinrite had a great “Yarnia” display based on Narnia. 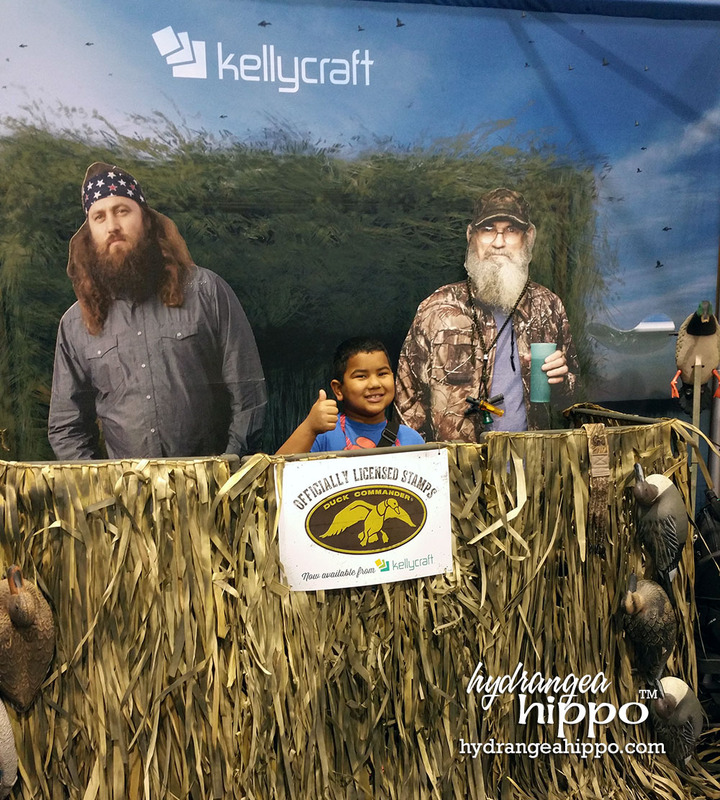 The best exampe of this was the KellyCraft booth who licensed a line of stamps with the guys from Duck Dynasty! It's hilarious but totally smart. 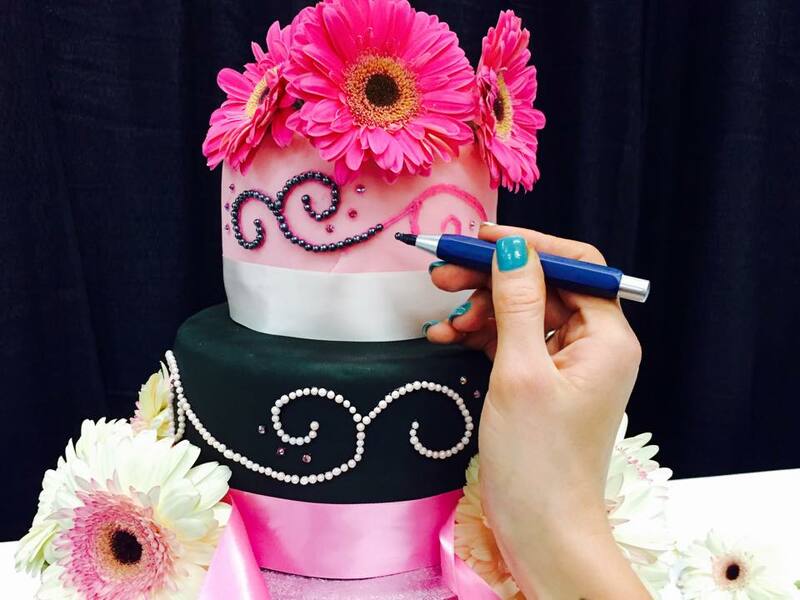 Companies are partnering with people who will being non-crafters into crafting. 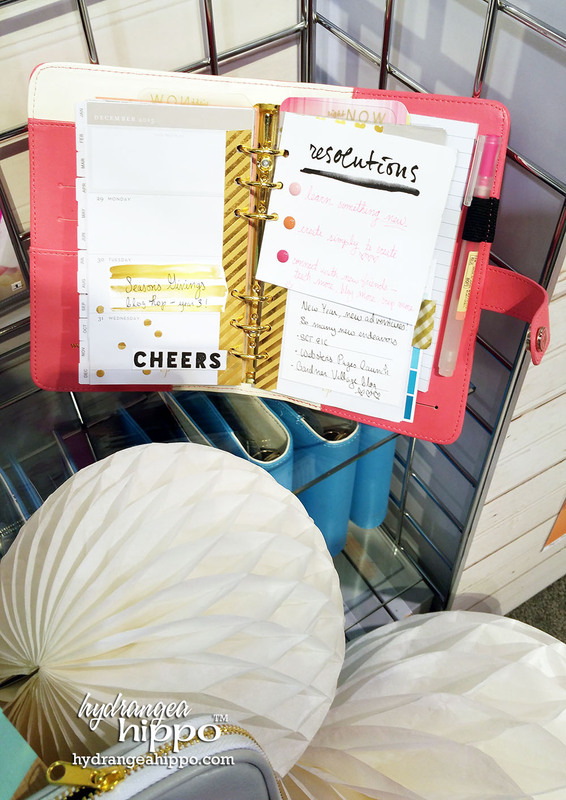 Deflecto had what would usually be office products reimagined and repurposed for craft storage and display. 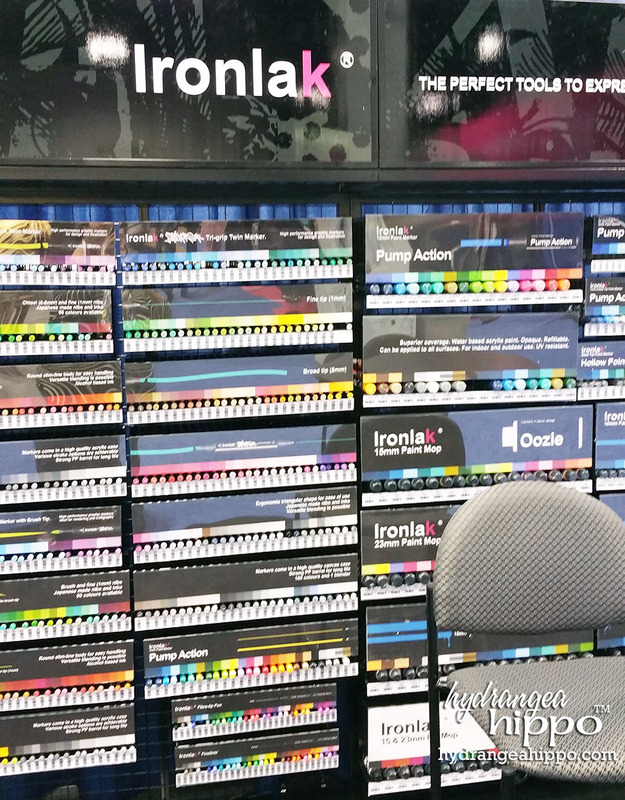 I already talked about opaque fabric paint markers from Plaid but Sakura of America had Pen-Touch Opaque Paint Markers in Colors and Metallics as well as new Permapaque opauqe pigment markers. 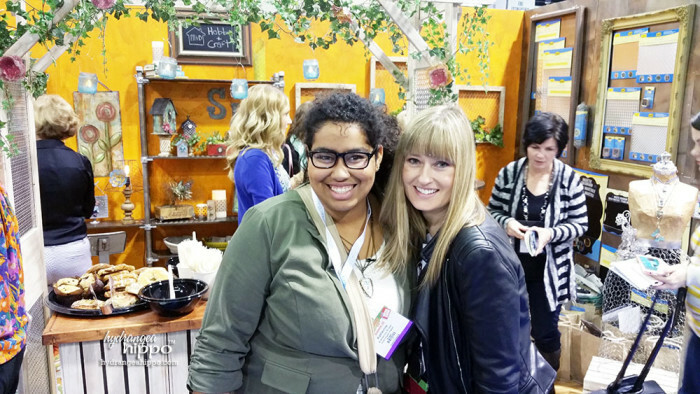 Here are some other awesome recaps from CHA! !